You only need to know a few Knots and Hitches and you are good camping. 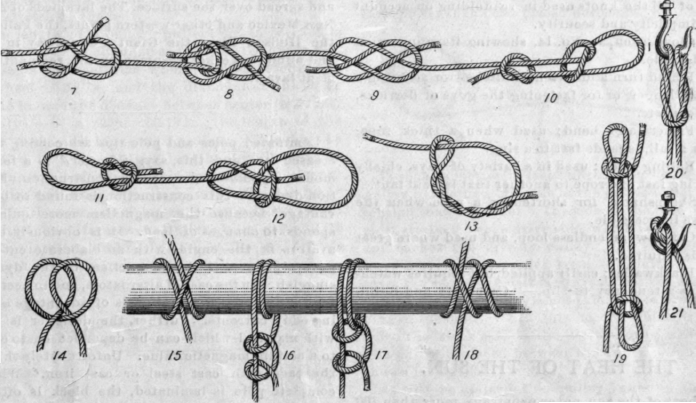 Basic Scout knots and hitches you need to know. Below are some videos taken from YouTube. Jamming knots joining two ends of a single line to bind around an object. Commonly use in First Aid such as triangle sling. So called a permanent knot for attaching rope, clips, hooks etc. Use in rock climbing and merchant navy as a jamming knot to prevent rope from slipping. Non-slipping knot. Use in climbing or securing to an object such as tent stakes. Commonly use for typing to a harness. Ease of knot tightening. A knot that joins two ropes together. Doubled, it is effective in binding lines of different diameter or rigidity securely together. It has a tendency to work loose when not under load. Used for attaching ropes to an object such as post, bars, poles etc. This is a tensioning Hitch Knot for tightening. Normally I use this with tent stake or for main tarp line. This hitch is very ideal when the ground is rocky such as river bed. The only way to anchor your line is using a big rock with this hitch.